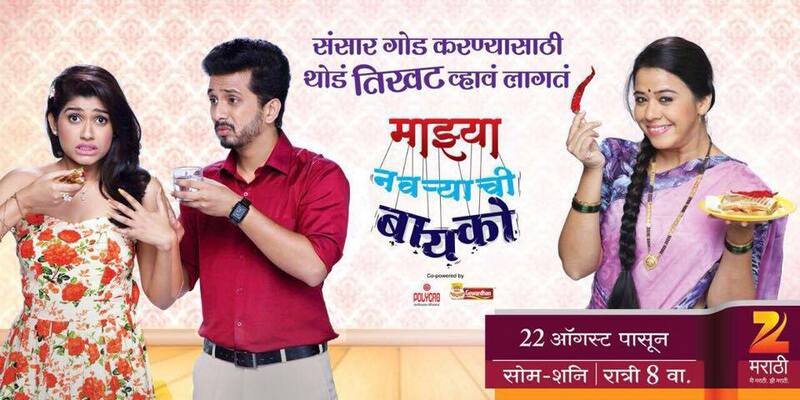 "Mazhya Navryachi Bayko (माझ्या नवऱ्याची बायको)" Zee Marathi serial starring Anita Date, Abhijit Khandkekar and Rasika Sunil in pivotal role, story of the serial is written by Rohini Ninave, directed by Kedar Vaidya and produced by Tejendra Neswankar under the banner Trumpcard productions. Abhijit Guru as K. D.
Synopsis: The story of Mazhya Navryachi Bayko revolves around the life of Radhika, her husband Gurunath and his love interest Shanaya. The current story shows how Radhika tries to win back the love of her husband gurunath from shanaya who was responsible for breaking her family.